John Betts (1755-1823) was certainly one of the most distinguished figures of English violin making at the end of the 18 th and into the early 19 th centuries. He studied violin making with Richard Duke for whom he worked for 17 years and opened his own business in 1782. Within a decade his instruments began to show the influence of Stradivari and his cellos in particular were extremely successful. 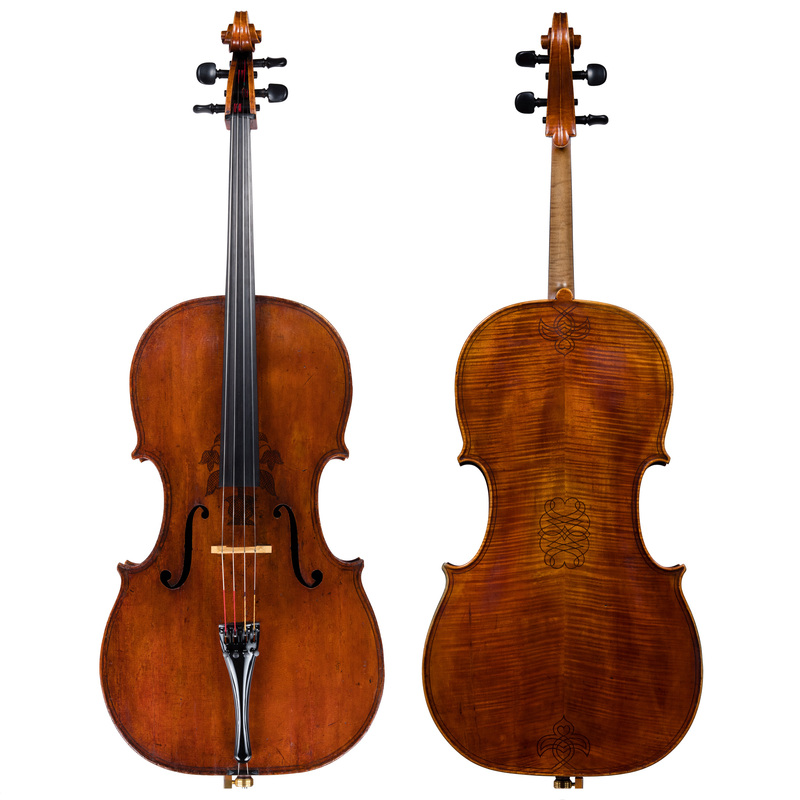 Betts was the most important dealer in London and one of the first to import Italian instruments from the Continent. He attracted the finest makers to his workshop including Vincenzo Panormo, Joseph Hill, Henry Lockey Hill, Richard Tobin and the Fendts. This handsome cello is probably the work of Bernhard Simon Fendt. Its decorative purfling and vine-leaf motif, and especially the “BN” monogram in the center of the back suggests it may have been made as a tribute to Barak Norman. The model, however, is clearly influenced by Stradivari and tonally the instrument offers a broader range of color than most English cellos.